Adblock Plus has been around since 2006, but has only risen to prominence within the last few years. As of today, over 300 million copies of Adblock Plus have been downloaded. Pretty impressive for an open source project. So successful in fact that many mainstream sites will plead with you to disable ad-blocking tools so they can keep getting revenue. Adblock Plus (ABP from here on out) has gained many followers for helping users disable annoying popup ads and ads that are otherwise obtrusive. The tools and the people behind it realize that much of the free content we get today is made possible by the advertising revenue these companies receive. For that reason, ABP created the Acceptable Ads initiative. This initiative was meant to find a balance between the need for advertising revenue while also forcing ad makers to respect their viewers. The initiative sets criteria such as requiring ads to be clearly labeled, specific ad sizes and even placement of ads. If advertisers met these criteria, they could apply to have their ads whitelisted by ABP. On August 9 2016, Facebook – apparently fed up with their loss of ad revenue – posted a blog about their new ad blocking policy. 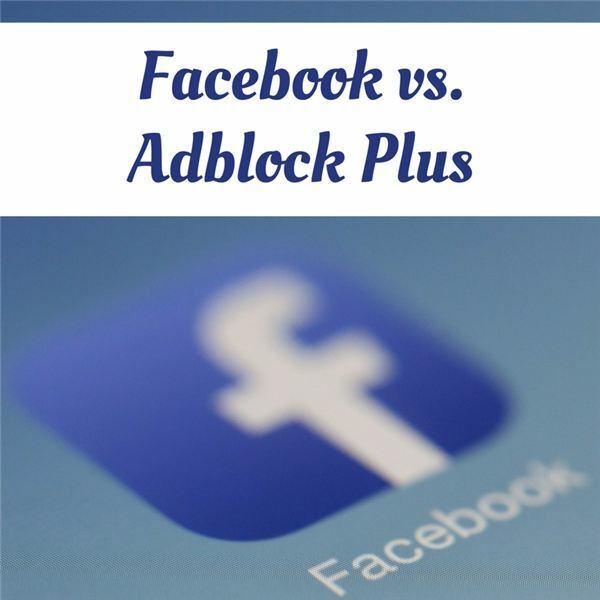 After discussing with users who utilized ad-blocking software, Facebook developed additional tools to help customers tailor which ads would be shown to them. According to their research, most customers were fine with ads, but did not like obtrusive ads, or ads that didn’t really interest them. The problem here is that Facebook was finding a way to circumvent ad-blocking tools for forcing ads on users. It is great they were allowing customers to customize the types of ads they would receive further, but the move was definitely user-hostile. What happened next shows what a strong community ABP has. Ben Williams, Communications and Operations Manager for Adblock Plus parent company Eyeo, responded with a blog post of his own attempting to rally the open source troops. Just two days later, the ABP community wrote a filter to disable Facebook’s “un-blocker" effectively. Facebook responded by altering the ad code to break the open source community’s “fix." Over the next week, the ABP open source community and Facebook raced to outsmart each other. Besides the obvious annoyance of Facebook ads, why are people so passionate about removing ads from Facebook? Many people realize that ads are a necessary part of an open and free internet. Content costs money to make and ads can support or supplement making that content. The main issue ABP has is the way ads are incorporated on the Facebook site. Many ads show up in the “feed" section intermixed with friend updates. Although there is a small bit of text stating that the ad is a “Suggested Post," because of the size of the ad and the way it is designed to look like a normal feed post, it can easily confuse users. Good ads can serve a purpose to users – for example, ads promoting a favorite store or a great sale going on can be helpful. Random ads that are intermixed in with normal content? Not so useful. It becomes more questionable when the ads are made to look like news. It will be interesting to see how the ABP and Facebook situation works out. Will the ABP community be able to keep up with one of the biggest tech companies in the world?